Can We Bring Affordable Housing To Downtown Princeton? 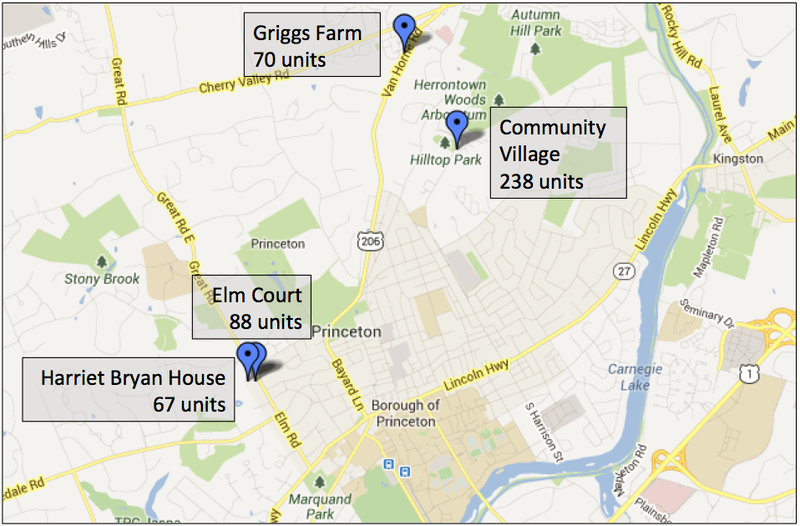 Princeton Community Housing (PCH) offers affordable housing at four major sites in Princeton: Griggs Farm and Princeton Community Village, at the north end of town, and Elm Court and Harriet Bryan House, which are both age-restricted and located in the Western Section. By operating these income-restricted communities, PCH opens the housing market in Princeton to many people and families who would otherwise be priced out of the area. This makes Princeton a fairer, more diverse community, and enables moderate-income workers to live in town instead of having to commute to Princeton from other places. 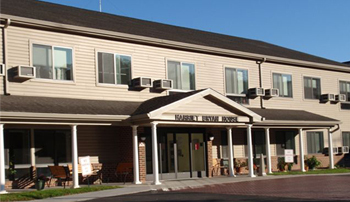 Further development of affordable housing, at what is now known as the ‘Harriet Bryan House’, led to a legal fight in 2001 involving local residents and the Central Jersey Sierra Club. PCH won the case in early 2002, enabling the plan to move to the next stage. Development of the ‘Harriet Bryan House’, which provides affordable housing for seniors, was the subject of a legal battle in 2001. Image via Princeton Community Housing website. It’s not impossible to walk from PCH properties to town, but it is quite far. Some residents can ride a bike, but most are dependent on some form of motorized transport. Owning a car is expensive, so residents are often dependent on not-particularly-frequent NJ transit and ‘FreeB’ bus service. To the credit of PCH, they have always tried to provide appropriate transit options for their residents. Having affordable housing on the edge of town was never the intention. Princeton Community Housing tried hard to bring affordable units right to the center of town. But it is hard to balance protracted zoning disputes with time-sensitive federal and state affordable housing grants. At least one proposal to bring affordable housing to the downtown area collapsed as Borough residents hesitated over redeveloping a downtown parking lot. Land is usually easier to come by outside the downtown area, and although having the space to build is just the first challenge to overcome, this has been an important factor in determining where Princeton’s affordable housing has ended up. The lack of affordable housing in the downtown is worth remembering when considering the current proposal to build apartments on the old Princeton Hospital Site. The current proposal for development of the site at Witherspoon St would see a 280 unit apartment complex constructed by AvalonBay. 20% of these units (56 units) would be affordable units, thereby bringing a significant amount of affordable housing to a site just 10 mins walk from Palmer Square. 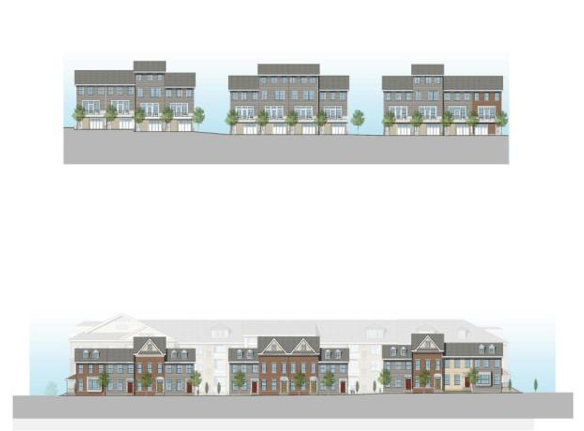 This would undoubtedly be a very attractive opportunity to residents in Princeton’s affordable units, because they would have the option of a new apartment close to stores and on an existing bus line. As with past developments that have brought affordable housing to Princeton, certain residents have opposed the hospital site project and even used legal means to try to prevent it moving forward. Others have questioned whether affordable units are appropriately integrated in the new development, even though site plans show affordable units interspersed throughout the development, on every floor and facing every direction. Although there are legitimate questions to be asked of the AvalonBay development, we should not lose sight a benefit that has been difficult to reach in recent decades: walkable, affordable housing, right in downtown Princeton. This entry was posted in Affordability, Princeton, Zoning. Bookmark the permalink. 1 Response to Can We Bring Affordable Housing To Downtown Princeton?